Hearing loss can happen beyond your control, of course; but that doesn’t mean you can’t take measures to prevent it on a daily basis. Our hearing is a delicate, precious thing. As we lose it with age, it’s imperative we keep it in shape for as long as we can. Hearing loss can happen beyond your control, of course; but that doesn’t mean you can’t take measures to prevent it on a daily basis. It’s easier than you think! There are a lot of factors in our lives that can lead to hearing loss, but we’re here to give you some tips so you can avoid them. We’re talking about the bulky, over-the-head headphones, here. Earbuds aren’t effective, because they don’t block out noise, and cause you to turn up the music past a safe volume. When you invest in a solid pair of noise-cancelling headphones, you won’t need to turn up the music so loud. After exposing yourself to 2 hours of sound over 100 decibels, your ears need rest for up to 16 hours from loud noises. Ensure that after you attend a rock concert or something similar, you keep your surrounding sounds at a lower volume for the next 16 hours. This is especially useful if you work within an industry where loud noises are present constantly. 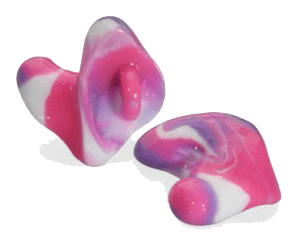 Earplugs should allow you to protect your hearing, but not be so intrusive that they prevent you from hearing your coworkers or other important sounds. There’s a simple way to tell if your music is too loud–hold your headphones out at arm’s length while music is playing. Can you hear sound coming from them? That means the music is too loud! You should also be able to hear external sounds when listening to music; again, use noise-cancelling headphones if you use music to drown out noise purposefully. Bay Area Audiology can help make sure your hearing is taken care of! This entry was posted on Thursday, October 20th, 2016 at 1:22 pm. Both comments and pings are currently closed.